As Founder and president of Adli Law Group P.C. my practice is primarily focused on patent litigation, representing high technology companies in the electrical and mechanical arts, including semiconductor, integrated circuit, computer hardware, architecture, software, digital processing, and communications industries. In addition, my practice includes drafting infringement and validity opinions, counseling and patent acquisition (prosecution) for select firm clients. In recent years the ADLI Law Group P.C. has also focused on inter–partes reexamination proceedings at the U.S. Patent and Trademark Office, as a low-cost alternative to patent… read more litigation. ADLI Law is also a full service firm. 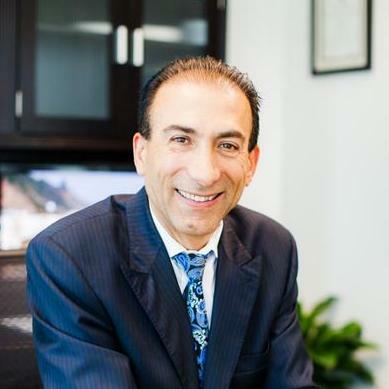 "I have dealt with Dr. Adli and his firm for patent filings over ten years and have never had an issue with their service. All of the attorneys in his office are top notch and very thorough. Some of my patents are very unusual and technical and they make the time and effort to understand what I am wanting to patent. There are many old previous patents that must be dealt with in getting a new patent and just because you think your idea is different, it may have a similar bearing, even in a small minute way, to an older one. This is where an excellent, experienced and dedicated firm really shines. I have been guided through parts I have had no idea about in order to get my patents and have always felt confident that I was dealing with the right firm. Bottom line - if you need excellent patent representation this is the firm to go with." "Adli Law represented me in a complex case recently. The representation was thorough and comprehensive. Then end result was winning the case on all counts and recovering the majority of the costs from the one who sued me. I would recommend this company."